Seth continues: "...from this bridge they (science and practice) don't look so different. In both worlds, the best we can do is pay attention, try things out, share, and change." Perhaps so. But from my below-the-bridge perspective, it seems useful to ask just what has been shared thus far, what is now worth trying out, and how both sides might change. More specifically, I would urge the contributors to this pioneering issue to discuss, together, what they see as next steps in cooperating with each other. For example, does this initial exploration point us towards collaborative ventures that would combine practical research and insightful practice? One evident possibility here would focus on the recurring issues surrounding "polycentricity." The dangers of totally relying on either local self-managing groups or remote and centralized institutions are rife. Some mix, or "nesting", of the two seems preferable, if only to counter the excesses and inequities of unchecked authority. But in some cases, e.g., the Old South, a simple mix only compounds the injustices, as slavery was embraced at all levels. So what, then, would count as more optimum forms of "nesting?" Are there criteria or guidelines for choosing among diverse or polycentric institutions? Here I believe scientific research and practical wisdom can combine to the benefit of both. For example, in her article, Monique Coombs reveals how Maine's lobstermen sustainably co-manage their industry along with the federal government. However, it still remains unclear to me what happens if the government or the majority of non-Maine USA lobstermen seek to overrule a local zone council. In addition, cooperative practitioners in Italy's Emilia-Romagna region, in the Basque region of Mondragon, and in Canada's Quebec province have developed intricate, and dissimilar, forms of cooperation among higher and lower, local, regional, and, occasionally, national and international levels. These have enabled local enterprises to form joint ventures, and to be up-scaled and replicated, along with affording them effective processes of negotiation and conflict resolution. Such "working models" of polycentricity - imperfect, incomplete, but pre-figurative - may prove useful to both theory and practice. Other propitious issues linking research and practice have been raised for us by Daniel DeCara, Michael Johnson, and Forrest Fleishman. Daniel asks for an enhanced research concept of collective action that identifies social justice and autonomy/self-determination as among its crucial sources. 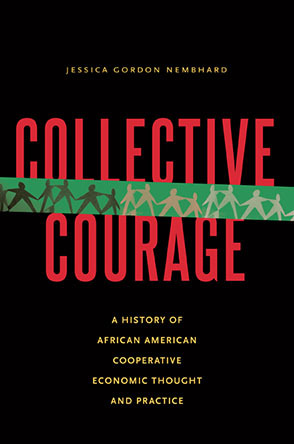 Cooperative practitioners would, I think, benefit from raising a similar question about their own practice: do our cooperative enterprises grow most fully when their mission is not only to support themselves and other co-ops, but to end poverty, war-making, marginalization, and inequity throughout our society and planet? And how can this widened vision be kept from sapping energy and resources from the enterprises themselves? (For a discussion of these questions, see my GEO article, "Fuel to the Fire." Similarly, Michael urges both researchers and practitioners to understand "cooperation" as embodied most fully not in equitable exchanges among otherwise self-regarding individuals, but in groups whose members have bonded in face-to-face, caring, and empathetic ways. But what would be the benefits, and the downsides, of this provocative conceptual shift? E.g., can an entire society, or any large-scale institution, be built entirely, or even primarily, on the sorts of intimate and deeply compassionate relationships which characterize Staten Island's Ganas, as well as other intentional communities? Maybe so, but how might this speculation be confirmed? Forrest presses the Ostrom framework towards understanding not just when up and running self-managed initiatives work well, but how they come to be initially originated, and what factors either keep them going or thwart their sustainability. This too is a fertile point where the experience of practitioners can be usefully combined with evidence from researchers. It is often asserted that cooperative enterprises tend to be resistant to growth; moreover, obvious and difficult challenges confront these enterprises within a highly competitive and individualistic culture. What light can be shown, from both practice and research, on how best to confront these tendencies and challenges? These opportunities for researcher-practitioner collaboration, I should emphasize, are merely suggestions from someone beneath the emerging bridge. Hopefully, they will encourage more of the same from those who have begun this important form of collaboration. For they are in the best position to decide just where, how, and with whom to continue their pioneering work. Len Krimerman helped found both Changing Work (1984), and the GEO Newsletter (1991), for which he still writes and edits. He has taught anarchism and radical democracy at the University of Connecticut for over four decades, and now directs the Public and Community Engagement program there. Members of this program recently won four $10,000 grants to create sustainable cooperative enterprises to help break the cycle of poverty in Willimantic, CT. These include a Youth Digital Media Cooperative, a commercial licensed Cooperative Kitchen, a Cooperative Hub (incubator focused on developing co-ops and animating inter-cooperation among them), and Rays of Hope, which assists people in recovery, or people with criminal records find gainful employment. If anyone reading this has experience or knows of people with experience in these forms of cooperative enterprise, Len would love to hear from you! Contact him at: lenmvgeo@mindspring.com; 860-487-0008(h); 860-918-8709(c).